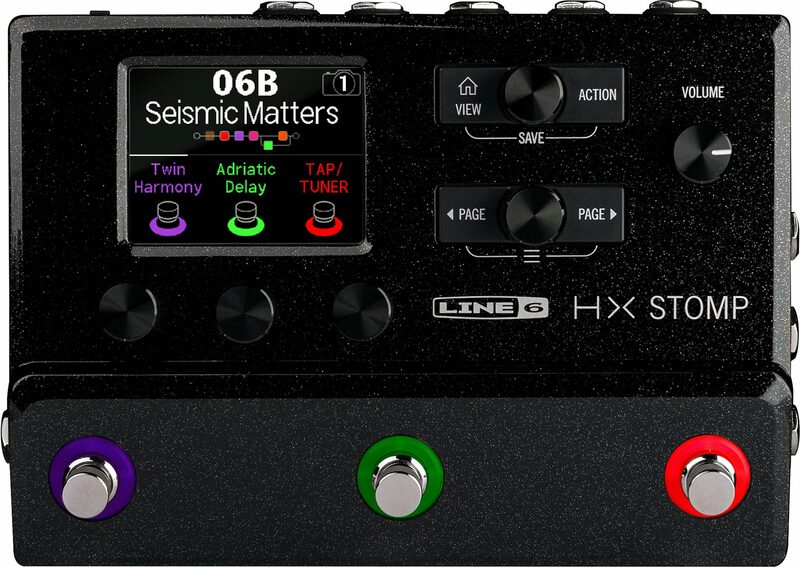 The Line 6 HX Stomp is a professional-grade multi-effects processor that delivers the sound of Helix amps, cabs, and effects in an ultra-compact pedal. 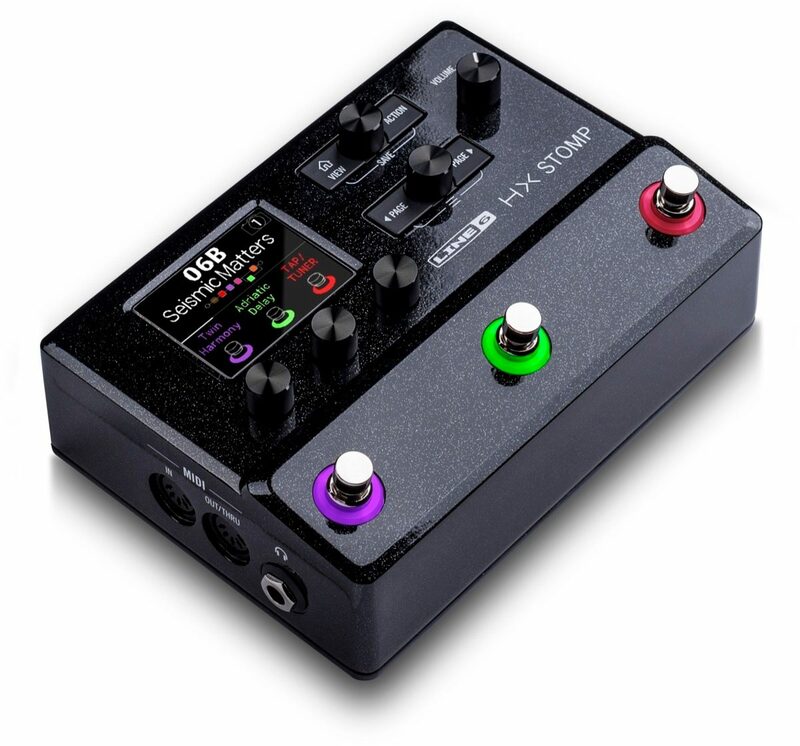 Whereas the Line 6 HX Effects pedal is designed to be the centerpiece of a pedalboard, providing full control over individual effects, amp switching, and external MIDI-equipped pedals -- HX Stomp is a programmable amp/cab/effects/IR pedal that seamlessly integrates into a variety of environments and applications. 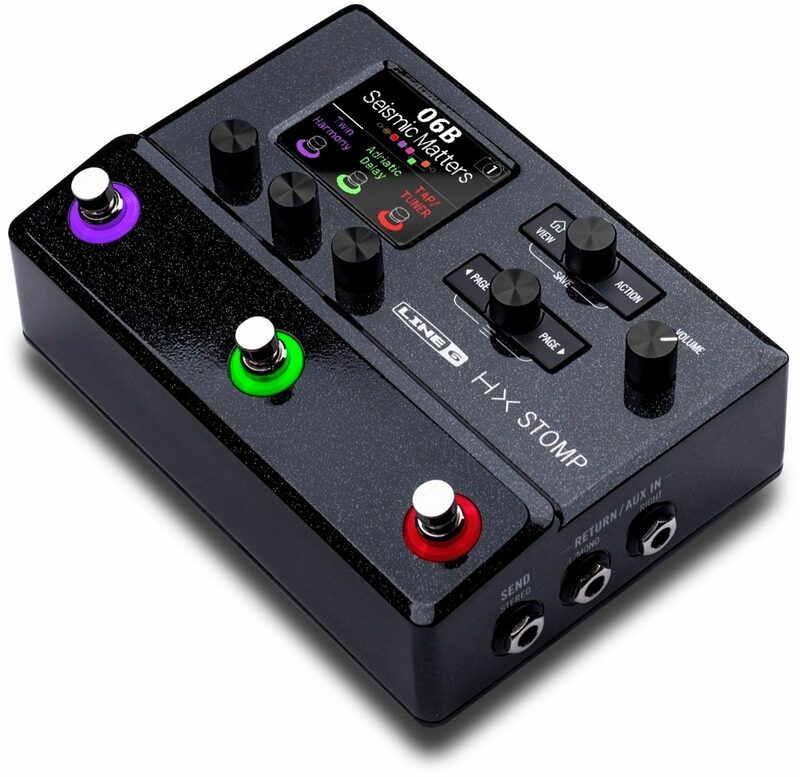 Use it as a "super stompbox," a backup or travel rig, an add-on tone expander when combined with other modelers, an audio interface -- or even a complete guitar or bass rig. 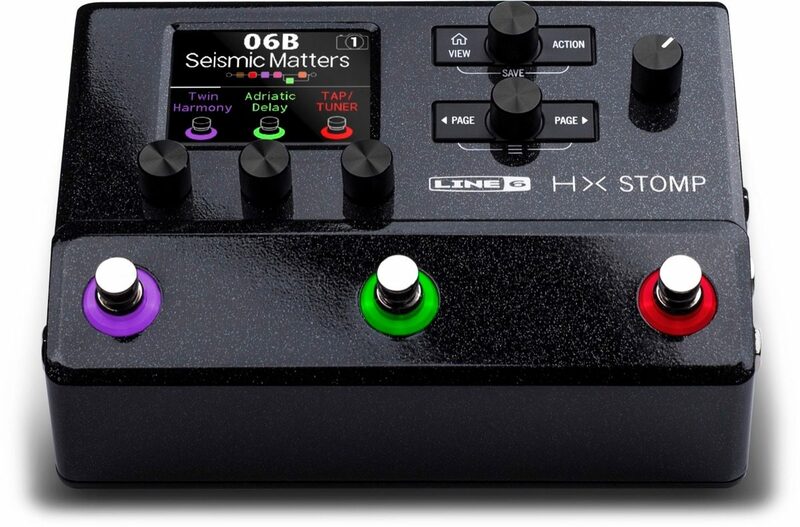 The same HX Modeling technology that powers the flagship Helix guitar processor enables HX Stomp to run up to six processing blocks simultaneously, with pristine audio quality, making it the most powerful and flexible stompbox-sized multi-effects processor currently available. 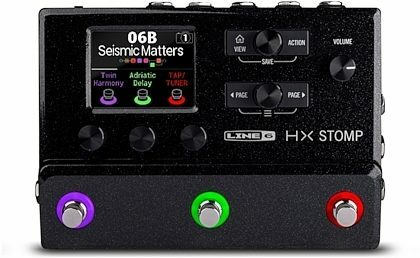 Along with over 300 amps, cabs, and effects -- even a looper -- the HX Stomp multi-effects processor includes a legacy library of effects from Line 6 M-Series pedals, as well as from classic Line 6 stompbox modelers such as the DL4, MM4, FM4, and DM4. There are also presets created specifically for bass players, as well as individual bass amp and cab models. 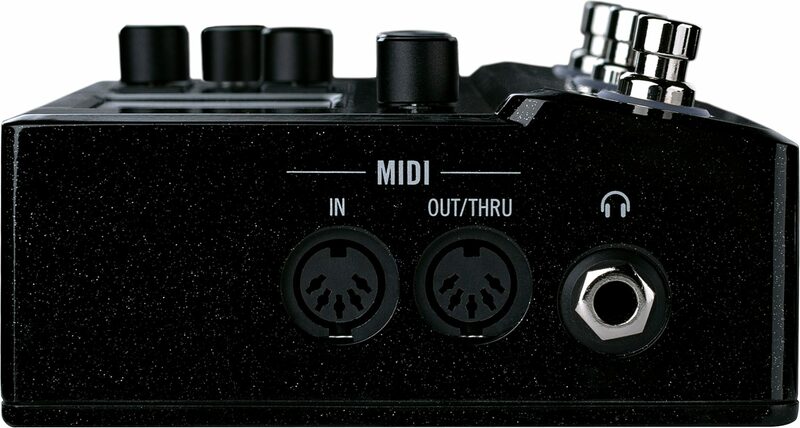 Additional features include a choice of true bypass and DSP bypass with trails, a stereo effects loop for patching other pedals into the signal chain and 4-Cable Method setups, a jack for connecting two external footswitches or expression pedals, extensive MIDI control, IR (impulse response) loading capabilities, and a multichannel 24-bit/96kHz USB audio interface. The free HX Edit app allows you to customize nearly every aspect of the pedal's operation, create, save and load presets. It also provides preset librarian capabilities, IR loading, and more. An industry-leading 123dB of dynamic range provides tremendous depth and ultra-low noise, while the highest-quality components guarantee unadulterated audio throughout -- from inputs to outputs -- whether feeding an amp, going direct to FOH, or recording in the studio. 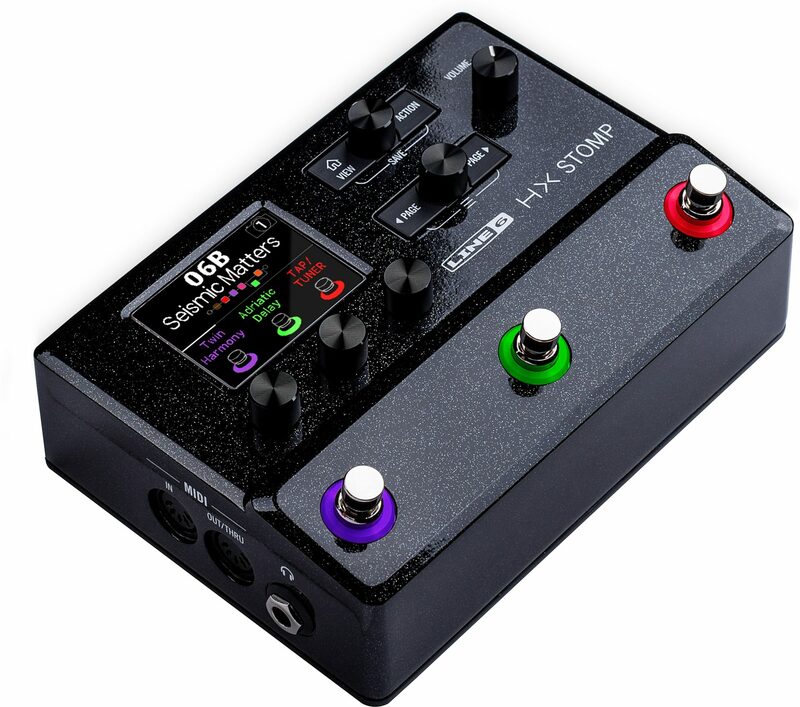 Whether you need a backup for your Helix or other rig, a travel rig that will fit into a duffle bag with room to spare for cables and additional pedals, a convenient practice and rehearsal rig, or a complete guitar and effects studio recording setup -- the HX Stomp multi-effects pedal provides the perfect solution. It even fits into the top pocket of a Helix Backpack. Overall: Overall: It’s time to go digital, people! I have all of the amps, cabs, speakers, mics, stomp boxes and outboard effects I could ever want: and many of them sound just like the real thing! I was looking into buying a new amplifier combo when I saw this. I did my research over several weeks and decided to give this a shot and see if it has everything I need. It does.Features: There’s no expression pedal or scribble strips and you’re limited to six choices per channel but you can add other stompboxes for anything you feel is lacking. 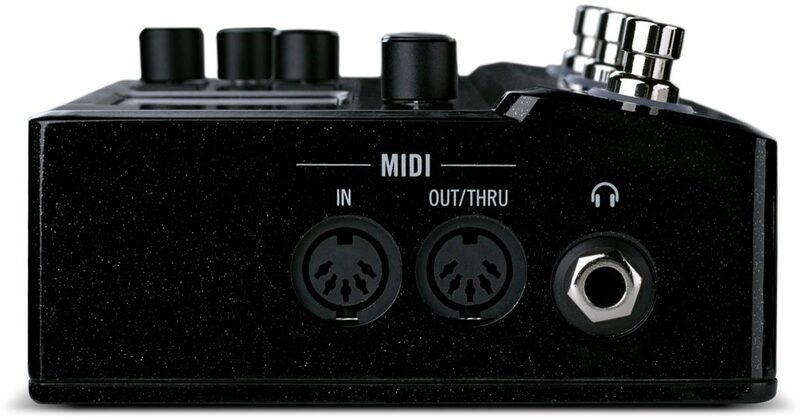 It’s got midi in/out, stereo in/out, fx loop, usb, headphone jack...it’s awesome!Quality: It’s built solid, with solid sounds, intuitive to use and extremely functional.Manufacture Support: No clue, haven’t needed it.Sound: I have a deluxe reverb reissue on one channel with a Celestion v30 and a jcm 800 half-stack on another with a compressed chorused version on channel 3. ‘Nuff said.Ease of Use: Basic use is intuitive. Some things, like saving custom settings, require a quick dip into the user manual.Value: I’ve never got more value for money in any other musical item I have ever purchased. I would add stars if I could.Wow Factor: All these amps and their distinct tone at your fingertips for well under a grand? My mind is still blown. Overall: Flat out killer little box! 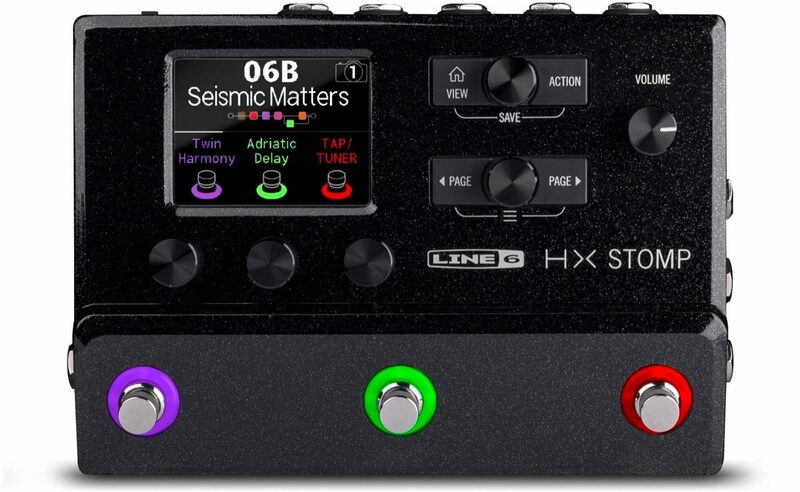 It everything the full helix has minus some routing and only 6 blocks but if you cant come up with a great sound out of 5 blocks you should go ahead and buy the lt or the full helix. 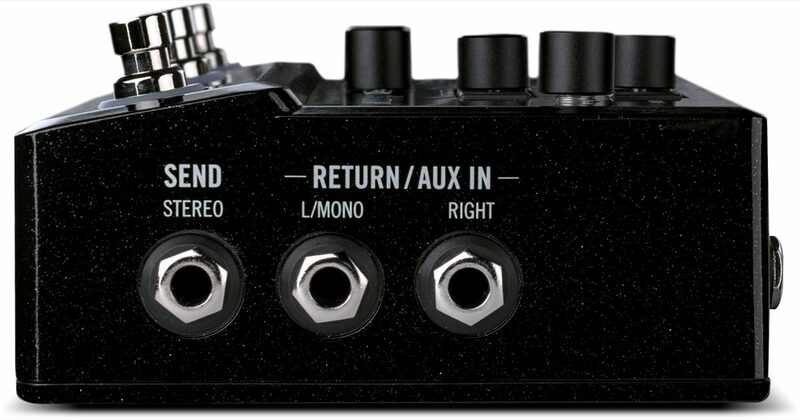 I just need a killer amp ,ir and an overdrive, maybe reverb so this thing is a miracle to me its smaller then some of my pedals and had everything under the sun in jt plus updates and t he option to buy helix native for 99 bucks thats enough of a reason to buy it right there. No kidding this is a killer killer product.